Diocese of New York-New Jersey - Happy Birthday and "Many Years!" 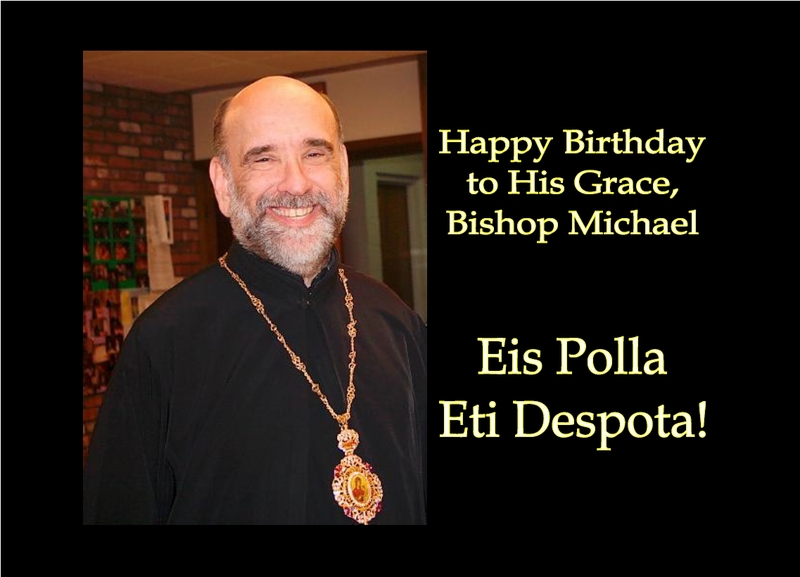 The clergy and faithful of the Diocese of New York and New Jersey extend greetings and prayers to His Grace, Bishop Michael, on the occasion of his birthday (August 29). We wholeheartedly thank His Grace for His service to the diocese and to many institutions of the Orthodox Church in America. In doing so, he has given his entire being absolutely to God and the Church leaving no room for the self. We offer our prayerful support and the intercession that our Lord will grant him long life, health, peace and salvation. Eis polla eti Despota! A Happy and Blessed Thanksgiving Day!